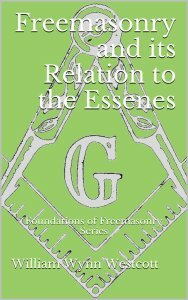 Masonic scholar William Wynn Westcott examines the assertion that the ancient religious sect, known as the Essenes, was in many ways a precursor to the Masonic fraternity. In addition to the notable features of brotherly love, relief, truth, morality and universal tolerance, there were much more tangible similarities, such as initiation, oaths, modes of recognition and the reception of an apron upon admittance. Or, at least that’s what other Masonic writers would have you believe.